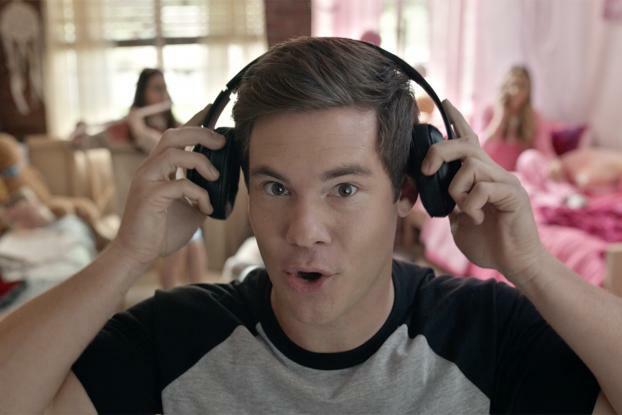 Bribing ethics professors with smartphones, autotuning presentations and using noise-canceling headphones to ignore the rantings of new roommates are just a few of the ways Best Buy is encouraging shoppers to do college with comedian and actor Adam Devine. The Richfield, Minn.-based electronics retailer rolled out its back-to-school effort with a series of humorous spots out of Grey New York starring Mr. Devine, known for "Modern Family," "Workaholics" and new film "Mike and Dave Need Wedding Dates." "We're excited to tell the story of how Best Buy makes it easy for students and parents to learn about and enjoy the best technology as they head back to school," said Greg Revelle, Best Buy chief marketing officer, in a statement. "We wanted to create a campaign that brings this to life and that tech fans will love to watch. Adam Devine's sense of humor helps us show that the back to school season can be fun and easy." 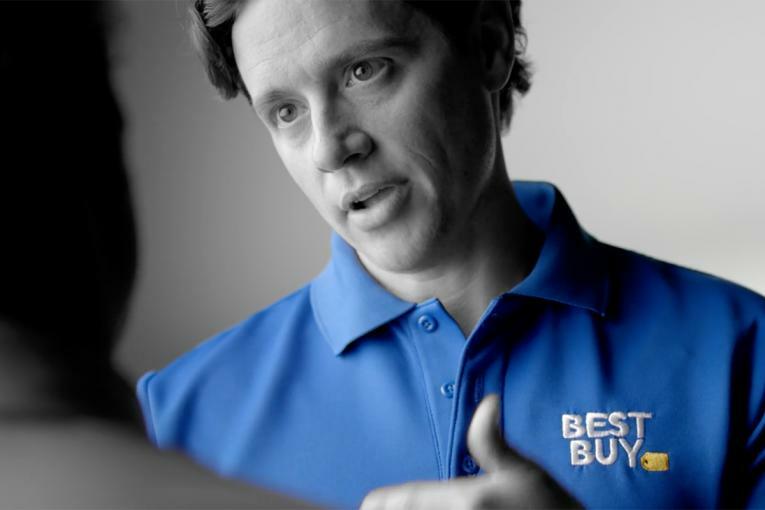 The ads strengthen Best Buy's strategy of attracting millennial consumers by tapping a younger star like Mr. Devine, who is also appearing in a new campaign from insurer Allstate. "It rides that line between high school and college," said Lisa Topol, exec creative director at Grey. "We throw around the term 'millennial,' but the truth is, Adam is funny to millennials and just funny to everyone." She noted that while shooting the spot on campus, Mr. Devine was bumrushed by a tour of students. The first spots will debut digitally on Sunday; one spot will begin airing on TV in August. The campaign also includes a social media component with hashtag #howtocollege and an "Adamojis" app that shoppers can download. Best Buy had also worked with Grey on its holiday campaign from last year.